We’ve made a lot of changes to our guitars this year, the most significant being the release of our new V-Class guitar bracing design. 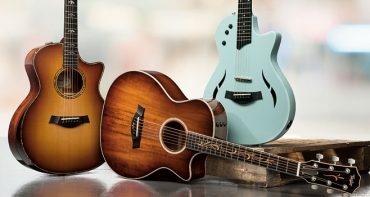 Featured in Grand Auditorium models from the 300 Series and up, V-Class guitars produce incredible volume and sustain with unmatched intonation—all traits that acoustic guitarists crave. 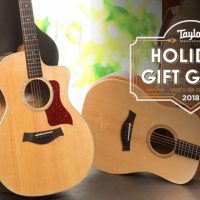 If you’re planning on buying a guitar during the holiday season, it’s helpful to know what you’re looking for when you shop for the gift for that lucky someone. But what exactly is acoustic guitar bracing in the first place? Since it’s largely hidden inside the guitar (especially the bracing that’s affixed to the underside of the top), there’s an air of mystery about it. 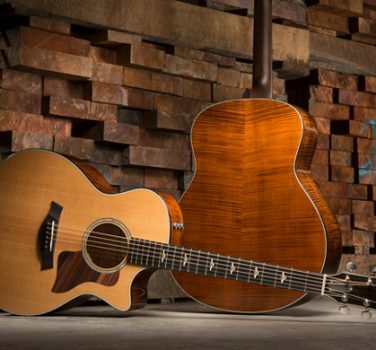 Here’s why acoustic guitars have bracing, and how it helps create the sound you hear. 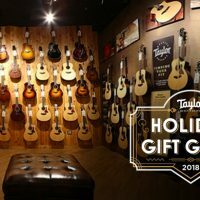 Visit the Taylor Guitars Holiday Gift Guide for more helpful shopping tips for the holiday season. In simple terms, bracing is the name for the pattern of wooden reinforcements that are glued to the inside of the guitar body. Bracing can be used for the top, back and even sides of the guitar, but top bracing tends to get the most emphasis because it plays a primary role in “voicing” the guitar. Braces are normally made of spruce, though other woods can be used to help create a unique tone. What does guitar bracing do? It actually does a couple of things. 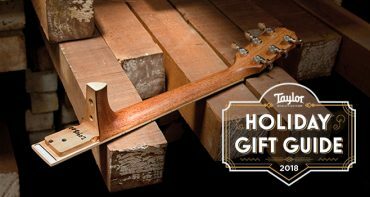 For one, it provides structural support for the guitar due to the amount of string tension pulling on it, particularly the top. It also helps orchestrate the movement of the top in ways that translate vibrating string energy into musical sounds. 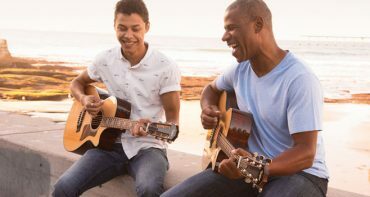 When you strum an acoustic guitar, the sound you hear is generally controlled—the combination of fundamental frequencies and overtones will contribute to the guitar’s sonic character. Without bracing, the guitar’s top, or soundboard, would vibrate freely, producing a chaotic, virtually unusable sound. 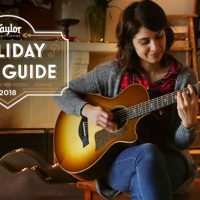 It doesn’t help that the soundhole in the top of the guitar creates a structural weak spot that allows the string tension to cause distorted movements in the top. Bracing helps counteract that physical disruption. Otherwise, chords would be a mess of noisy treble tones and muddy lows. Two physical properties that a top needs to have to produce good acoustic sound are stiffness and flexibility. 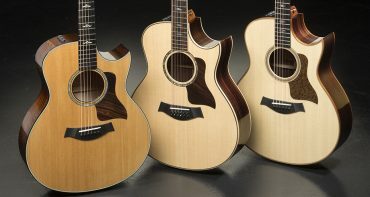 Spruce is often used for guitar tops and for bracing because it’s both strong and lightweight, so when spruce is cut properly for tops (usually quartersawn), it has a good combination of strength and elasticity. The challenge for any guitar maker is to use bracing to strike the right balance between the two. It’s that fulcrum between stiffness and flexibility that creates the tone you hear from your guitar. Flexibility generates volume, while stiffness produces sustain. Both are appealing tonal qualities in a steel-string acoustic guitar. As we mention in another Guitarology post, volume and sustain are competing qualities, and with traditional bracing patterns, increasing one typically diminishes the other. Bracing optimizes the relationship between the two, creating a sound that carries both qualities while remaining controlled and focused. What does guitar bracing look like? Over a hundred years ago, a bracing design called X-bracing was introduced. 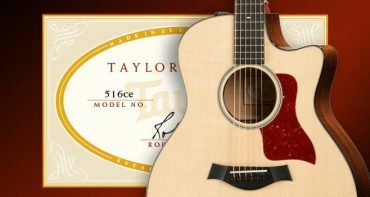 The pattern utilizes two long braces that intersect behind the soundhole. Today, most steel-string guitar manufacturers still use a version of X-bracing, which is favored for its strength and stability. 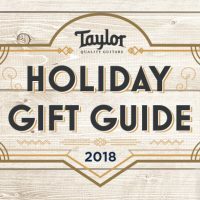 At Taylor, we employ X-bracing in several varieties, including Performance and Advanced Performance, each of which is designed to complement the unique sonic properties of specific tonewoods and body shapes. Some luthiers use scalloped X-bracing, in which each strip of wood has been carved down to reduce its weight, allowing for greater vibration of the soundboard. Nylon-string guitars frequently utilize other types of bracing due to the fact that nylon strings exert less tension on the top. 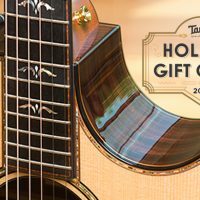 Taylor nylon-string guitars feature a pattern called fan bracing. What is V-Class guitar bracing? 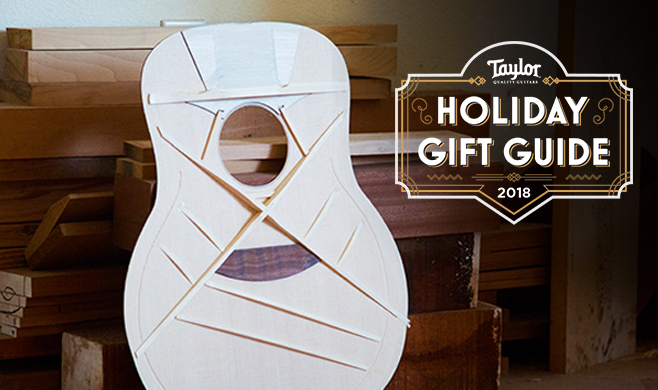 If you’ve been following Taylor, you probably know that we recently introduced a new bracing pattern called V-Class bracing. 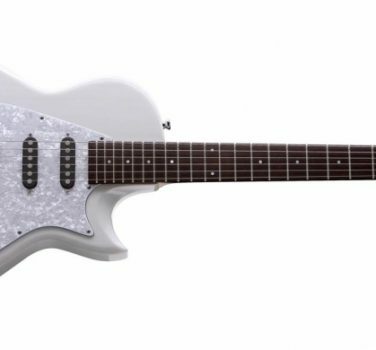 Developed by master guitar designer Andy Powers, this new design revoices the acoustic guitar by changing how the guitar’s top vibrates. The new V-shaped bracing creates stiffness along the centerline of the guitar (parallel to the strings) and flexibility across the soundboard, allowing both sides of the top to vibrate in an orderly fashion. That rigidity generates greater sustain, while the increased flexibility of the top produces more volume and power. Likewise, that even, orderly vibration pattern resolves the clashing sound waves that we perceive as imperfect intonation, where sour notes and dissonance might arise out of certain chord voicings and note patterns along the fretboard. 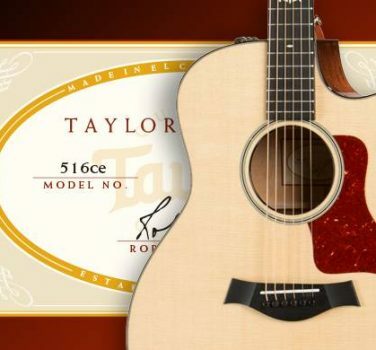 Read more about Taylor’s revolutionary V-Class bracing here.